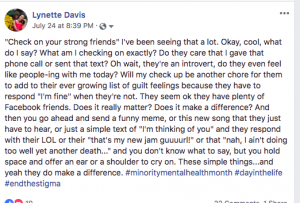 For the month of July, I wanted to raise awareness around National Minority Mental Health Awareness month. 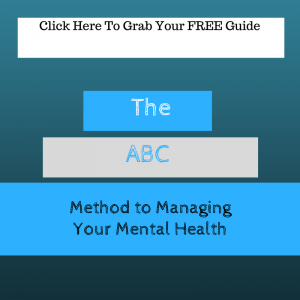 Last year, I did an interview with my resident mental health pro, Dr. Angela Clack. Amongst other things we discussed, she told us about the origins of the awareness month. You can watch our interview here. And check out her new book on narratives from women of color talking about trauma and depression. Since I will be doing interviews all next month, I decided that I wanted to do a campaign just sharing my random thoughts about mental health throughout this month. 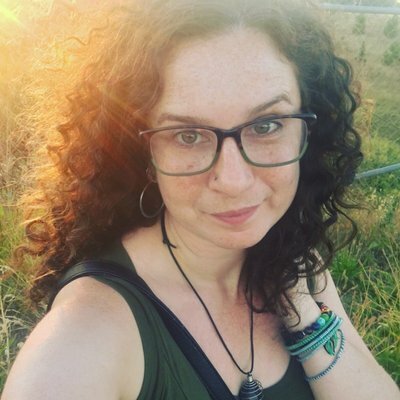 I wanted to share a day in the life of someone with lived experience, aka a peer advocate. 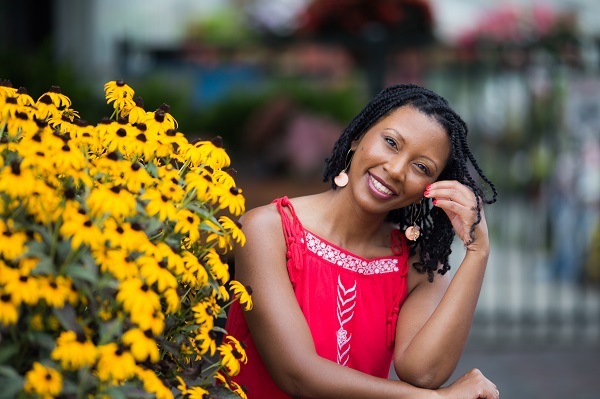 I wanted to raise awareness about some of the ways I’ve experienced mental health prevention, treatment, and ongoing maintenance as an African American woman. I invited other POCs in my social network to join me in creating awareness by sharing their stories, experiences, resources, etc. about mental health for this particular campaign. Why do this? Because the more people talk about mental health in our communities, the more it becomes a commonplace topic. This is how we fight the stigma. And when stigma is obliterated, people don’t feel ashamed to seek help. If more people seek help and find that there isn’t equal access to care, we come together and create demand that needs to be supplied. Ya dig? 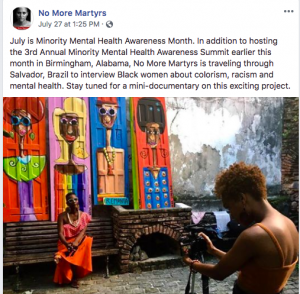 The reason this is so important is because there are many disparities in seeking and getting mental health treatment as a minority in the U.S.. Heck, even a quick Google search led me to organizations that are NOT founded by or led by the people this awareness month was made for, when of course they exist. I’ve made plenty of complaints about the lack of minorities having a seat at the table, but I won’t go there right now, (another topic for another day). So even our own voices and wisdom aren’t being centered, but rather tokenized to fit inside a paradigm. Which further proves we still have a ways to go with dismantling a broken healthcare system. But first, we need to create awareness. And many times that awareness starts at home within our own selves, conversations amongst each other, with our family members, with our friends, our co-workers, our spiritual community leaders and members and anyone else in our network who still doesn’t get it. There are too many people who still deny that mental health disorders are very real, and we cannot afford to keep sweeping them, and how they affect our lives either directly or indirectly, under the rug. It hurts us, it tears apart our families, it breaks down and disconnects our communities. So to offset that, we share. We share our truths, we share our resources. We encourage one another to find strength, hope, and healing. Trudean talks about issues and raises donations every year to support her local community check our her current fundraiser. 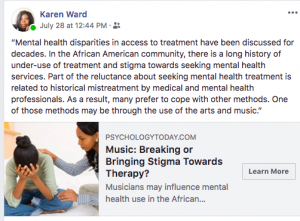 Karen shares about two of my loves, mental health and the arts. 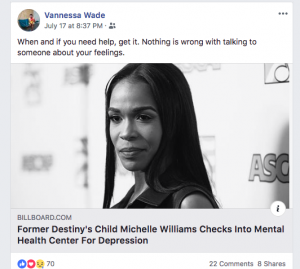 Vannessa shares about mental health in the media. Before I started my business, I took a small business course at my local community college. At that time, I hadn’t found all the online business “gurus” and only knew about SBDC and local NJ entrepreneurship resources because of my community involvement. This was helpful because I got to understand business foundations and see the value in learning more than just “5 steps to growing your email list”. At that time, I also didn’t have any intention to start an online business *gasp*. I was going to start a family owned cafe and bakery. I had a great idea for one that I had done research on and saw that there was no-one else in the area with this particular concept. The resources I had located told me to try a business course 1st to see how viable the idea was including, working at a job that would feel similar to the business you want to start…long story short, my lack of resources and my impatience and frustration working in hospitality let me know that the only way I’d own a cafe would be if I was simply the money person. But let me backtrack. While in the course, the instructor asked us to discuss things like health policies. We all chuckled when those who had already ran businesses, (some brick and mortar) answered “don’t get sick”. I didn’t realize then how much that was no laughing matter. 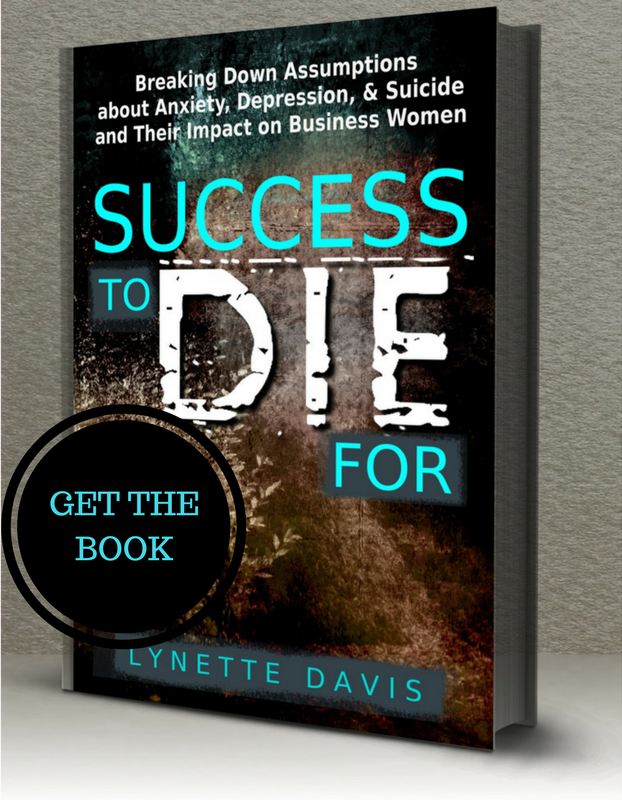 But even more importantly, I didn’t realize what that type of answer would reveal about the culture of many businesses – from micro businesses like virtual assistance and online business management , to corporations including the incorporated nonprofit. 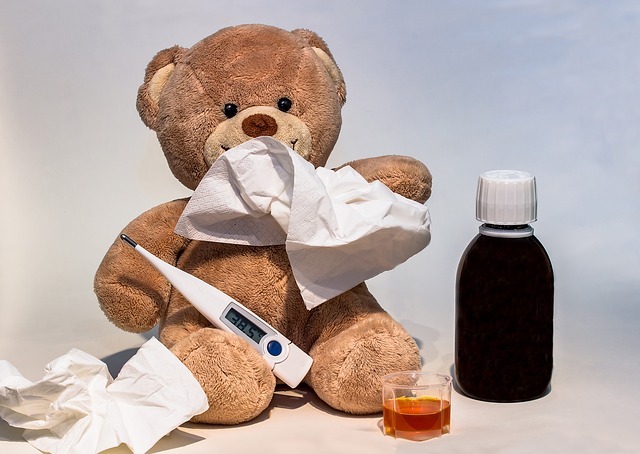 Our culture has an unspoken rule that illness is taboo. Even articles that I read about wellness programs are essentially saying ‘hurry up and be well so you can be a productive, highly engaged workhorse…err we mean workforce for our money making machine’. Ok I’m over exaggerating, but I’m not that far off. Because after being around and listening to the narratives of people who are chronically ill, who have had doctors that were so inclined to be the expert that they stop listening to their plea for care when they’ve told doctors that despite a clean bill of healthy “something isn’t right here”. Or I’ve listened to those who have disabilities, some seen, others unseen, (like people with heart conditions) and I’ve heard how people treat them because they aren’t the right kind of sick. I’ve learned that mainstream doesn’t have a contingency plan for those who aren’t deemed contributors even when they really are…just not at the moment, or not in a way that fits contemporary expectations. And truth be told, you have to have a radical self-love practice for your body to contend with the fact that illness is not tolerated for the long-haul and even attacked. And yes, this…rejection of your…being messes with your mind. It’s a close encounter with trauma. It’s traumatic to be you and be hated for no other reason than being yourself. And trauma was one of the causes for mental health disorder that came up in the research for my book on mental health and entrepreneurship over and over again. 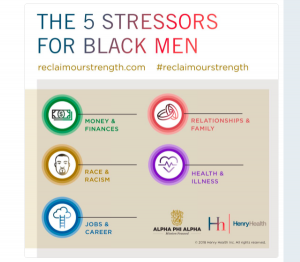 So, advocates like myself combat the trauma of being ostracized while also at the same time proactively encouraging and extending resources for healing. 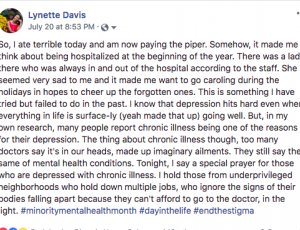 This is why StigmaFighters exists. This is why large advocacy groups exists. And also why smaller grassroots who address the needs of people often left out in the bid for healthcare reform exists. This is why RadicalWell exists. 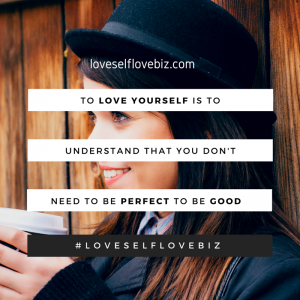 And even why Love Yourself Love Your Business exists. 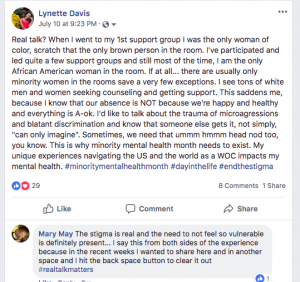 Why do we have to be advocates even when we’re not mental health professionals? To decrease stigma yes, but really it’s about creating a shift in culture. Wellness policies that reach beyond bringing in a personal trainer or “an app for that” (though those are important too) but also include health risk assessments, peer advocacy and support for leaders that offer up compassionate resources that say you don’t need to deny your illness and disease/illness management could go a long way. I think this concept of wellness at work is applicable for small business and micro business owners who may or may not be a 1 person shop just as much as it is for the big companies. “Don’t get sick” is not a health care plan. It denies our basic humanity and encourages mental health conditions such as anxiety and depression. But really it encourages a culture that shames, stigmatizes and traumatizes our human experience. And quite frankly, we can do better than this. Support Stigma Fighters at stigmafighters.com where they publish essays from people living with mental illness. Feelings of guilt, anger, frustration, heart brokenness, worry, fear, and angst because it hits a little too close to home are all feelings that I learned were very normal, and I have to thank my most recent mental health education for that. One major reason why it’s been extremely hard for me to keep up with everyone, (besides the fact that it’s just hard to do that with thousands of social media connections) is that my own family had crisis. My immediate family and most closest friends know more details about my own history with years of struggling with depression and anxiety, which was chronic and mild. So, when a family member has a major episode of psychosis we were unfortunately ill prepared. My ideas of calm meditation, eating healthy, yoga, and mindfulness kinda went out the window because telling someone who wields a sword and declares that they will protect the people of earth as a chosen warrior of God, to add some zen to their life doesn’t really cut it…at least not at that time. And so determined to understand psychosis, which was new to me on a personal level, be a better knowledge base for my family and anyone else who came my way wondering how the heck do you deal with the sudden loss of a loved one either by physical death, or death of a personality you had grown to love, I took up the Mental Health First Aid training which is free and accessible, so I can be more aware and appropriately responsive. I also enrolled in the NAMI Family-to-Family classes with my mother. NAMI Family-to-Family is a free, 12-session educational program for family, significant others and friends of people living with mental illness. It is a designated evidenced-based program. 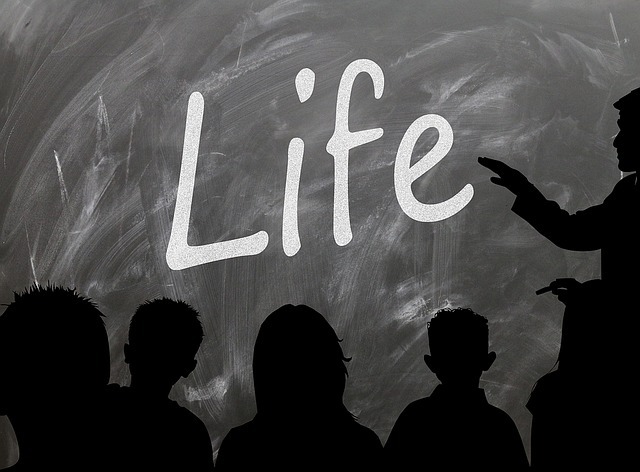 Research shows that the program significantly improves the coping and problem-solving abilities of the people closest to an individual living with a mental health condition. I joined NAMI back in 2015 and even went to the annual conference in my state. 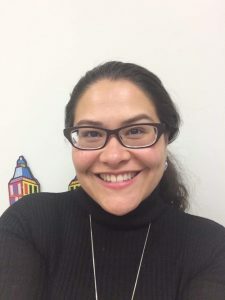 I had been on the fence about being involved this year because I had gotten lost in their system via no responses to my correspondence and attempts to get more involved, which isn’t unusual for nonprofits at all. This is why I’ve a love/hate/grudgingly respect and appreciate relationship with large nonprofits and prefer to partner with smaller grassroots organizations. But I am very glad that NAMI has this program and I highly recommend checking it out even if you yourself have a mental health issue. 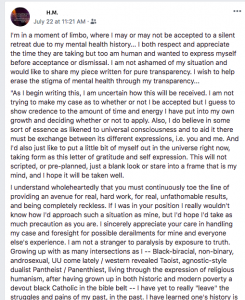 As someone who has been in mental health recovery for about 8 years it was completely new to hear from family members who associated themselves as “not mentally ill” and yet had the heart and determination to empathize and “come out” as die hard advocates. I say new because I am used to hearing from people with lived experience rather than the outside looking in when they aren’t paid to be looking from the outside in. It gave me perspective, to say the least. I think perspective in and of itself can save a life. Dr. Kelly Brogan (who I find quite controversial and wonderfully fascinating) wrote that “people require basic tools, simple truths, and community.” I agree with that. And I know that education is one of those basic tools. The truth is, there is stigma within the mental health community itself. Psychologists and Psychiatrists go at it, and so do people who have “severe” mental illness vs. those who have “high functioning” mental health disorders. I know for a fact that Amy had people questioning a lot of what she was doing, some of her ideas and thought leadership, and some of those people also had mental health issues. This is why I believe that education isn’t just for the professionals who treat mental health disorders, but for the people who call themselves advocates and allies as well. 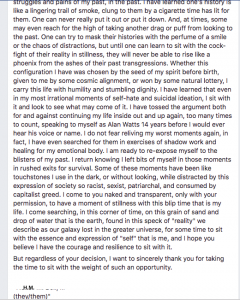 I’m going to end with this, if you felt triggered by the death of Amy do not feel ashamed, or guilty because you feel you are making it about you and not them…those feelings are normal and you are not alone. Reach out. The legacy continues as we continue to share our stories, as we continue to increase awareness and fight injustice and medical practices that do more harm than good. Let’s continue to share our hopes, our dreams for a society that has no stigma and a world that believes in mental wellness for all. If you or a loved one need support right now, you can reach National Suicide Prevention Lifeline by calling: 1-800-273-8255.